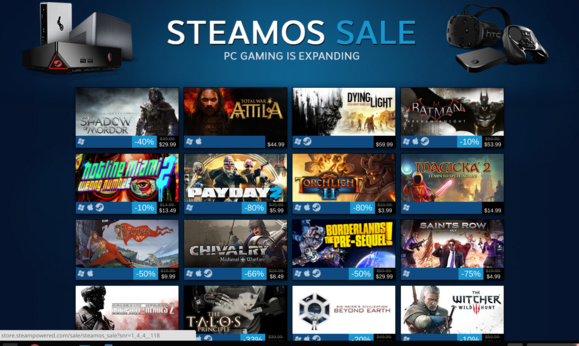 Mere days after unveiling a whopping 15 initial Steam Machines at this year’s Game Developers Conference, Valve’s Steam store is conducting a massive sale on Linux-based games compatible with the upcoming SteamOS. More than 50 titles are highlighted, including three of PCWorld’s favorite games of 2014—The Talos Principle, Transistor, and our Game of the Year, Wasteland 2—and a slew of other spectacular titles like Metro Redux, The Witcher 2: Assassin of Kings, Borderlands: The Pre-Sequel, Civilization: Beyond Earth, XCOM: Enemy Unknown, and Goat Simulator, among many others. Beyond the aforementioned trio of our Game of the Year favorites, PCWorld’s spotlight on 25 killer Linux games can help you figure out which of the games are worth your hard-earned cash. The deals last through Monday, March 9. Curious about the new Steam Machines themselves? 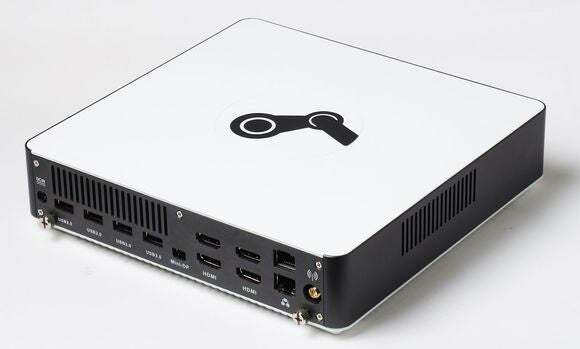 Check out our guide to each and every Steam Machine announced thus far, complete with full details and a picture of each system.